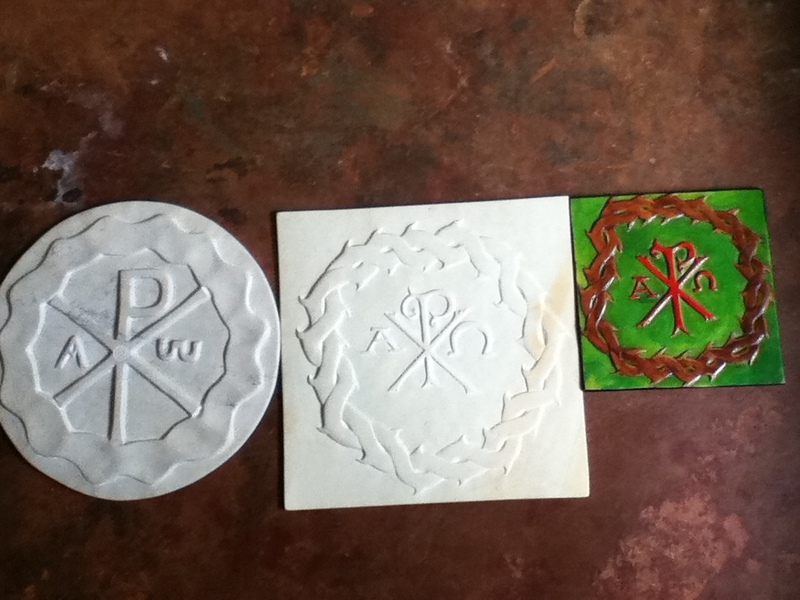 This are plaques of size 8 inches by 8 inches. 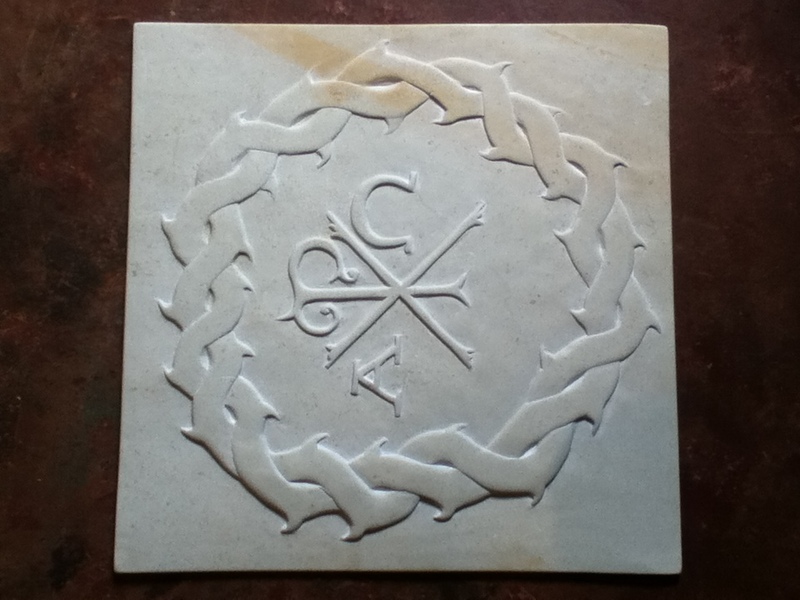 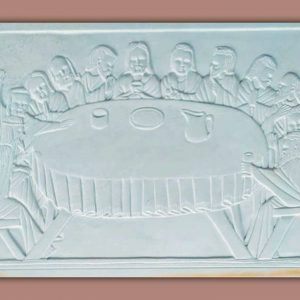 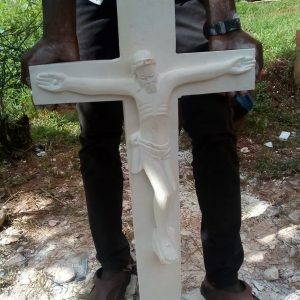 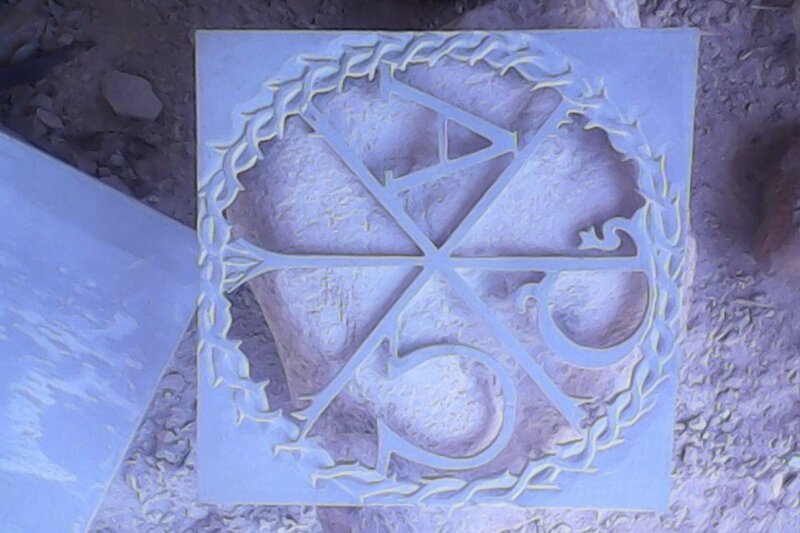 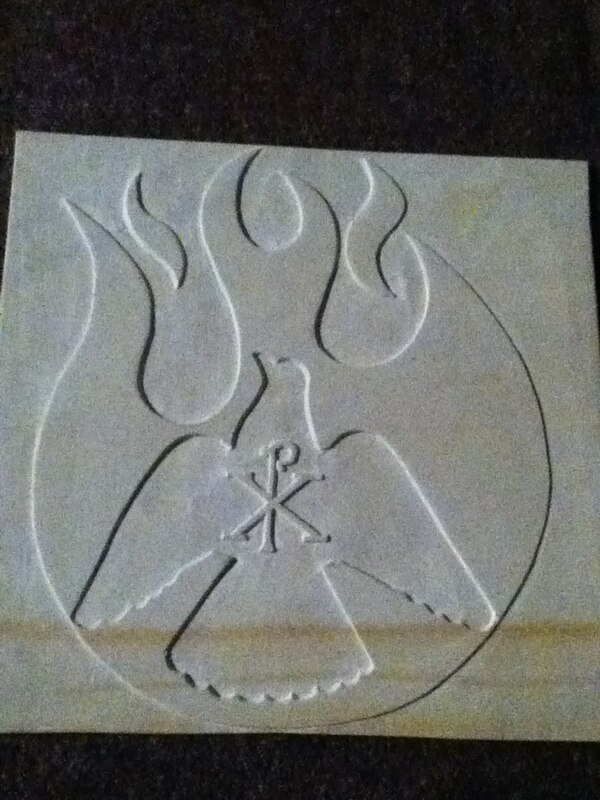 The ChiRho sign is embossed on white soapstone plaque .for walls and tables. 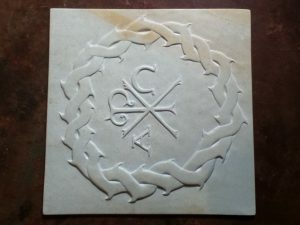 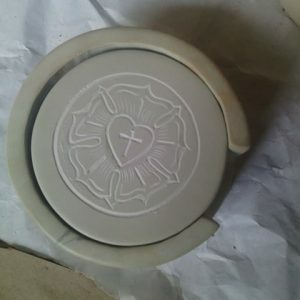 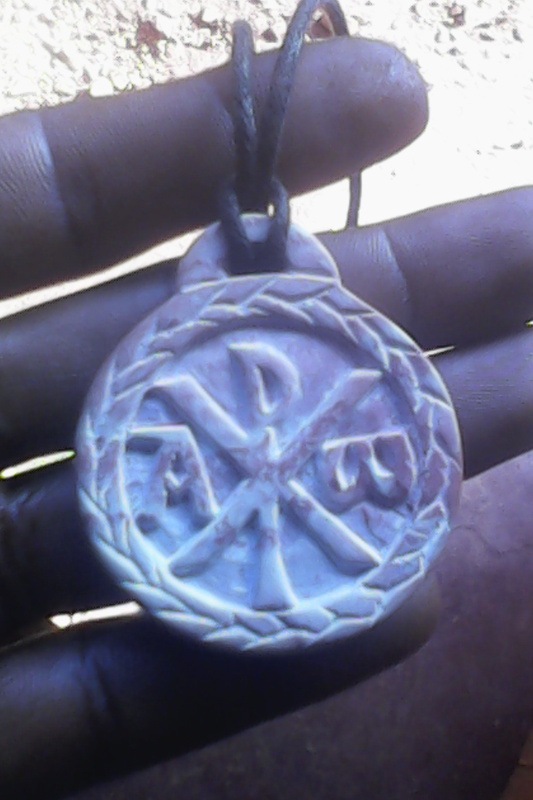 Table coaster embossed with Luther Rose.